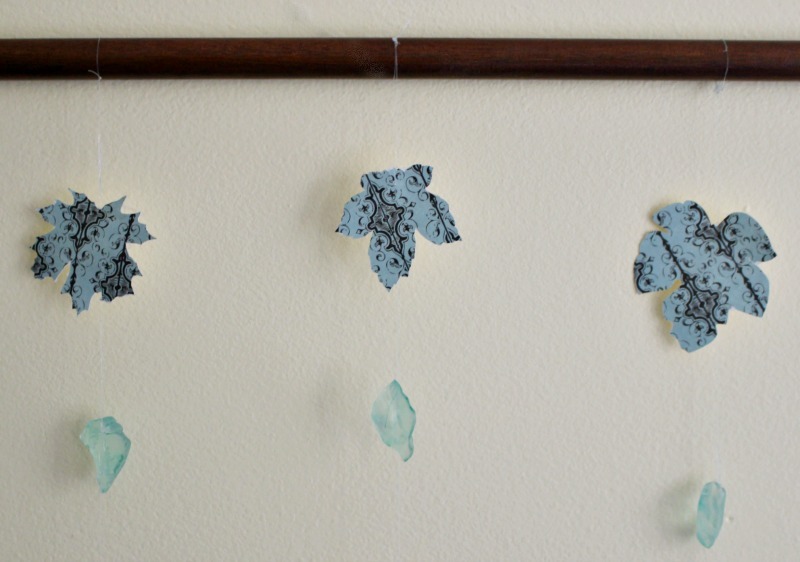 Make A Pretty Fall Paper Leaf Wall Hanging using a Cricut machine, or leaf stencil. Add sea glass for a little bling. This cost just a few dollars to make! This post contains affiliate links at no extra cost to you. All opinions are 100% mine. Please see my full disclosure here. Welcome to our monthly Cricut challenge. 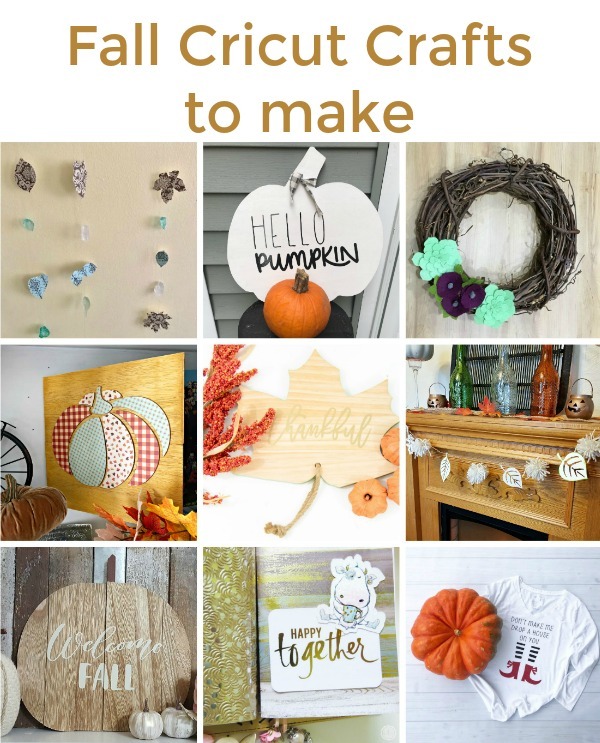 This month’s theme is fall and there are 9 fun Cricut projects to inspire you. Be sure to visit the participating bloggers below. When we were packing up my daughter’s room, we found a bunch of sea glass that she had collected over the years. She always loved looking for sea glass and shells whenever we went to the beach. The colors are so pretty and rather than just leave them packed away, I thought it would be fun to make something with them. When this challenge came up, I knew I would use them in a wall hanging. Let me show you how easy and inexpensive this was to make. I had all the supplies in my stash. The wood pole was found at a barn sale $1 for 2. You could also use a stick from your yard. Try to find one with a cool shape. 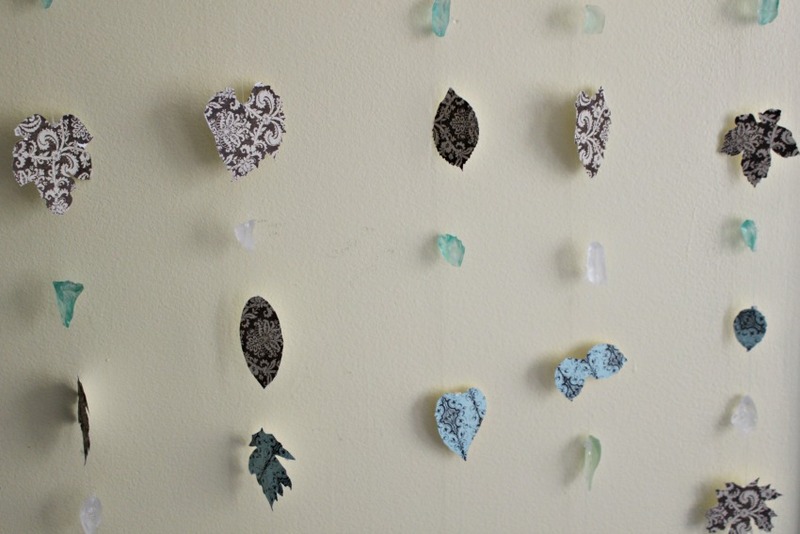 The sea glass was free and you can find pretty decorative paper at the craft store usually for under $1. 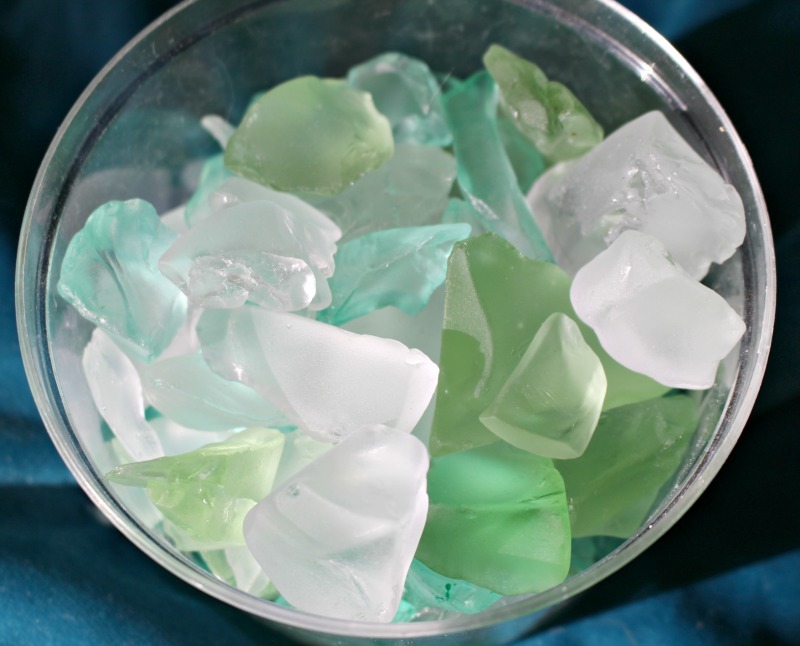 If you don’t have a stash of sea glass, they do sell that at the craft store as well. Be sure to use a coupon! 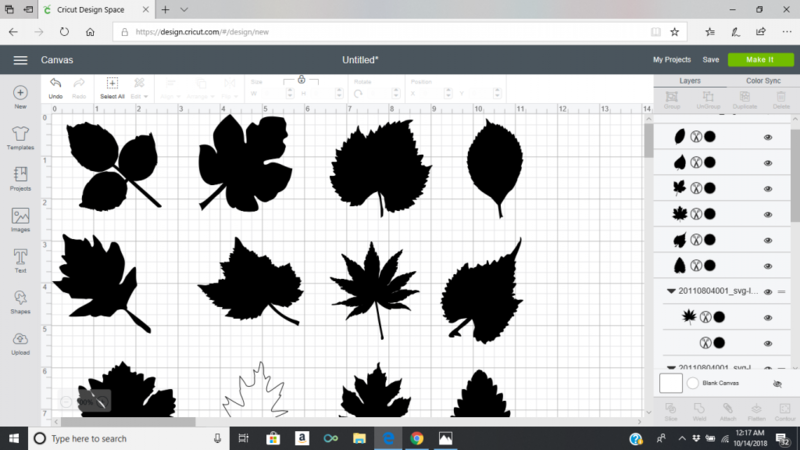 There are lots of leaf printable designs on Pinterest. I found this free leaf design here. 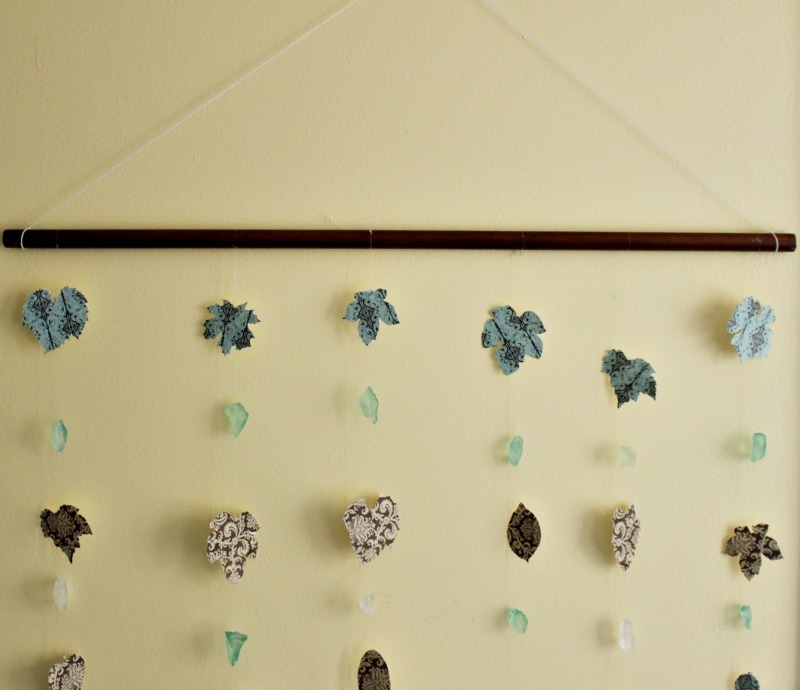 The different leaf shapes were perfect for this wall hanging. Before I had a Cricut Explore Air™ 2 machine, I used to cut shapes out for various crafts. You can definitely do the same thing with this, but of course it makes it much easier if you do have a Cricut. It saves a lot of hand cramps, lol! 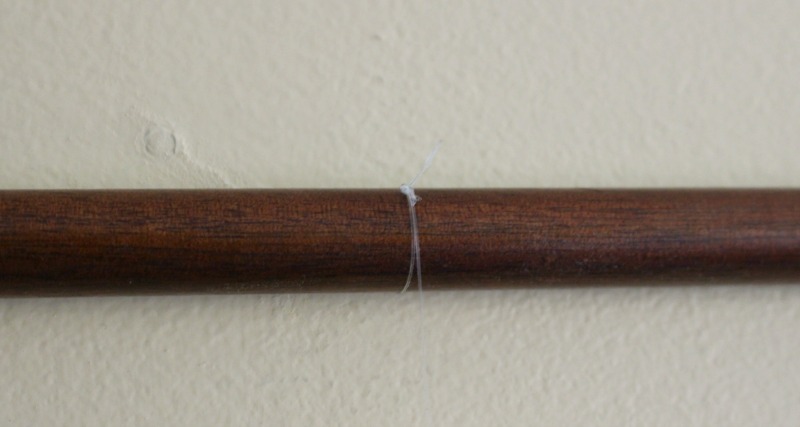 Next, attach 6 pieces of fishing line to the wood pole at varying lengths. Add a dab of glue to the top to ensure it doesn’t come untied. 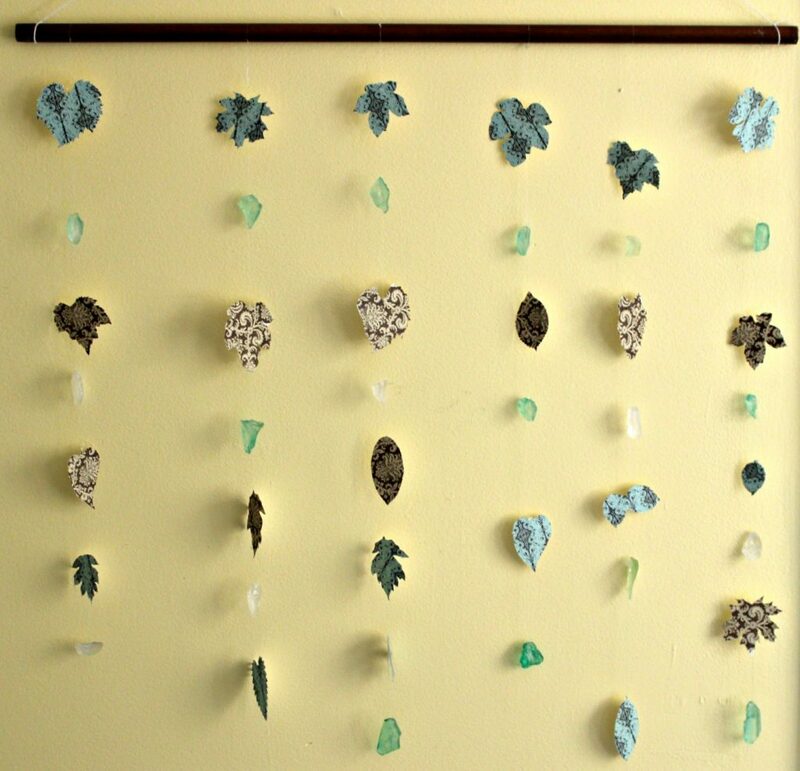 Then use hot glue to attach the leaves and sea glass spacing it out however you like. You have to hold the sea glass for a minute to make sure it is secure. I was tired of burning my fingers with the glue gun, so I finally ordered these finger caps. Have you ever seen these before? Best thing ever! That is pretty much it. You can add more lines if you want, but I liked how it was spaced out. Also, after fall you could remove the leaves and add snowflakes. But I think this is something you can leave up year round. It doesn’t scream fall. You can also use shells. Be creative and use things you already have. It is a fun project to do with the kids too-minus the hot glue! 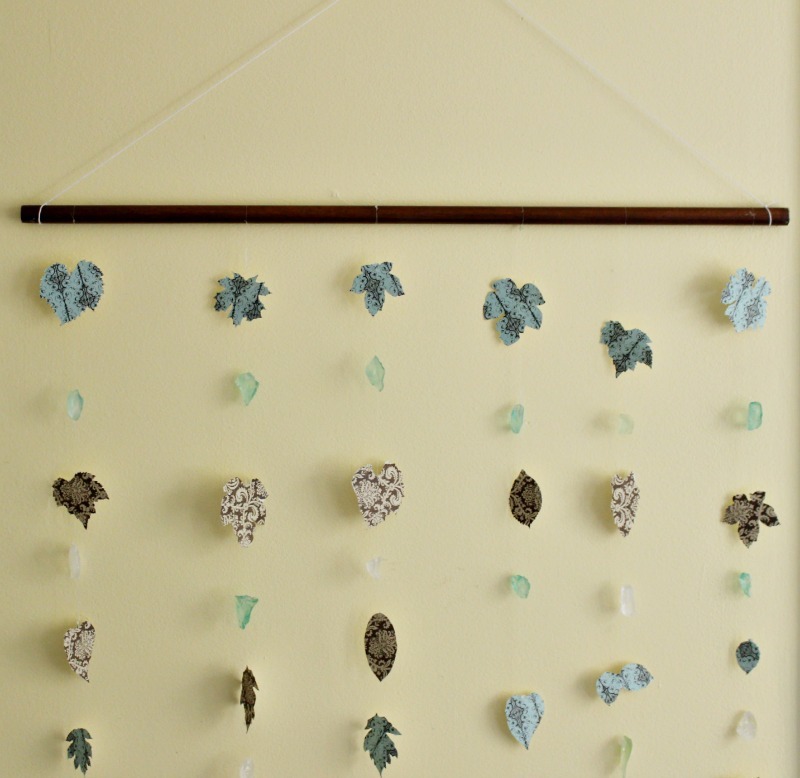 If you liked this wall hanging, you may want to check out the sea glass windchime I made here and the sea glass dream catcher I made here. I hope you will check out the rest of the projects below. Have a great day! This looks very pretty! The paper and sea glass combination is very pretty! The addition of the sea glass really makes it unique!